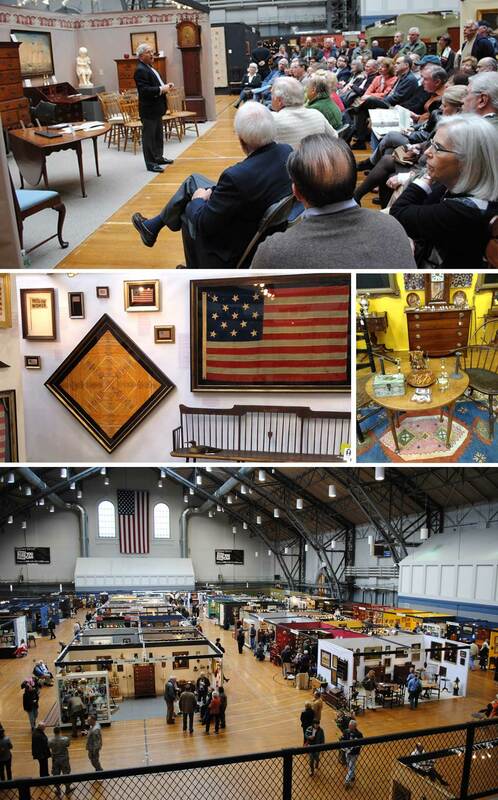 The annual Connecticut Spring Show has long been the premier destination for those interested in quality early American furniture and decorative arts. The show, which has continuously attracted serious buyers, is a great venue for novice collectors and visitors interested in learning about the outstanding merchandise offered. Most of the dealers have been exhibiting at the show for years and they are always willing to impart their expertise and passion for Americana. The show’s exhibiting dealers are among the most distinguished and well-known in the industry. The Haddam Historical Society, host of the show, is thrilled and honored to be at the landmark Hartford Armory, the original location of the show in 1973. The drill shed with its natural light and resplendent atmosphere provides the perfect locale for viewing the superior furniture and decorative arts including fine art, folk art, pottery, porcelain, glass, silver, pewter, brass, iron, textiles and other accessories. The 2019 Hartford Show will feature a millennials perspective to the world of antiques and arts. Kate Avery, artist, furniture designer, painter, blogger and influencer, is on tap to share her knowledge and design savvy with a fresh twist. She will show how to incorporate that unique and special antique object into a 21st century setting at her talk “Fresh Design with Antiques” on Saturday, March 23 at 2:00 pm. 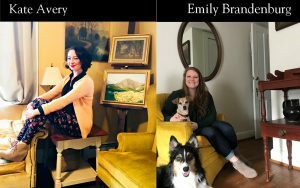 On Sunday, Kate and web-designer and collector, Emily Brandenburg will host an afternoon drop-in session at the space they create with an array of antiques/art and the essentials of a millennial.